Sometimes…I add more truffle oil. When I’m in Seattle, I spend a lot of time mooning over the stock at La Buona Tavola, where one can buy truffle oil, white or black. And I do. 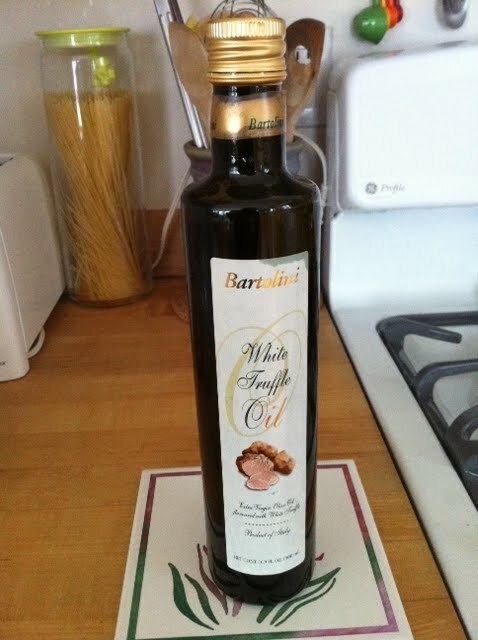 A little goes a long way with truffle oil, so it takes a while to get through a bottle this size. I’m always experimenting, but carefully, because it’s too good (and too expensive) to waste. This is my latest experiment. 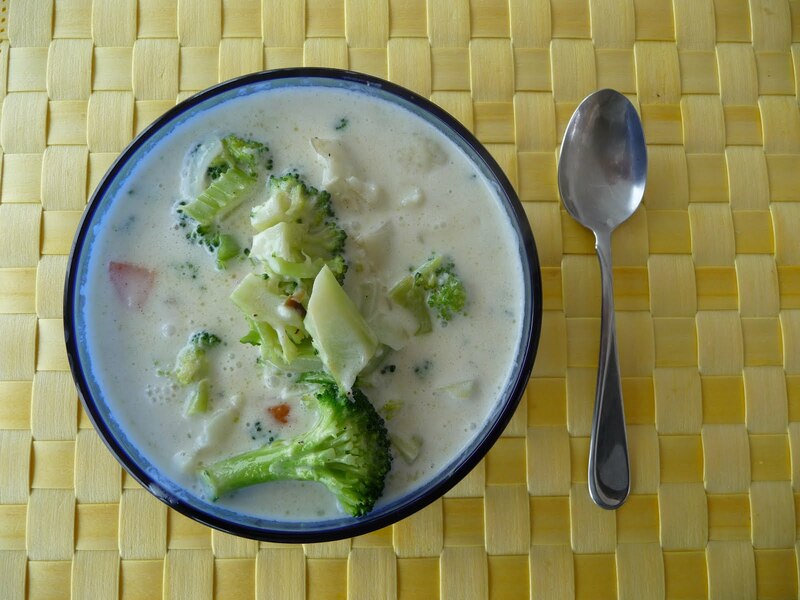 Trim broccoli and cauliflower florets, about a cup each. Chop some onion, carrot and celery. Saute in hot olive oil for five minutes, until the onion begins to brown. Add a heaping tablespoon of flour, and stir till combined. Add a cup of cream and a cup of homemade chicken stock or canned chicken broth. Add a tablespoon of truffle oil, salt, pepper, and some grated nutmeg. Bring to a boil and reduce heat, stirring until the soup begins to thicken. Add vegetables. Cook until the vegetables are tender. *Good with vegetables of almost any kind. Sometimes I use leftovers, so long as they are only steamed. *Substitute some white wine for some of the stock. *Sometimes…I add more truffle oil.